The summer sales are in full force right now for outdoor items! 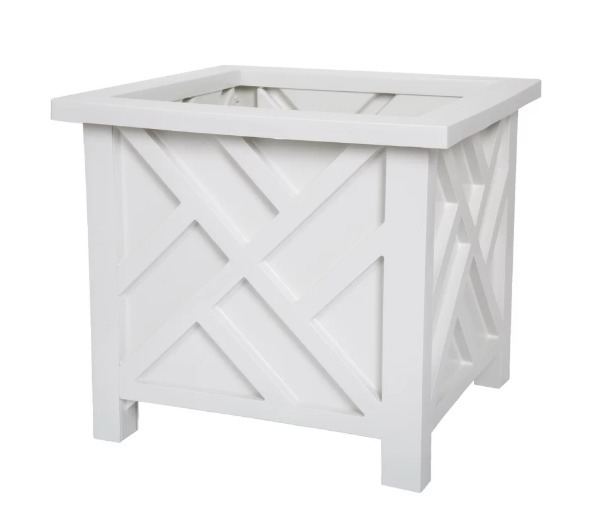 I’ve gathered a few of my favorite pretty planter boxes under $100 for your porch, deck, and patio. Several of these planters are self-watering too! 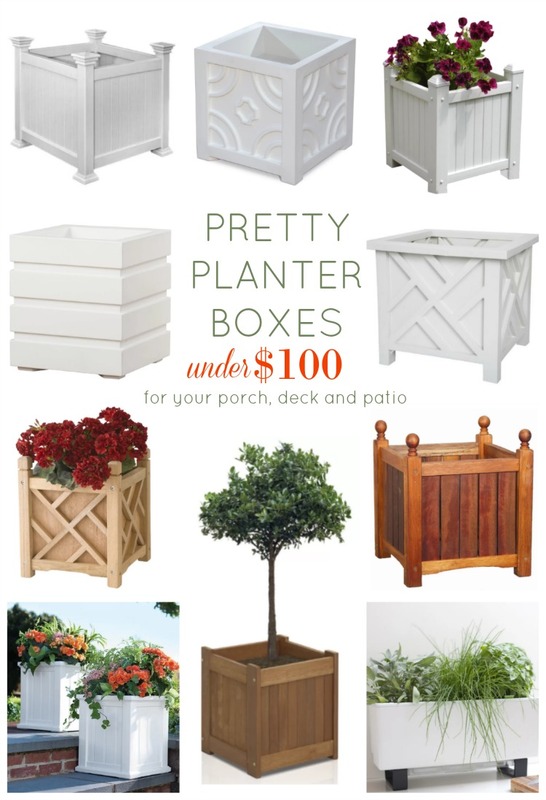 I’ve put affliate links for every planter box in each title for your shopping convenience. Don’t miss out on the holiday bargains! 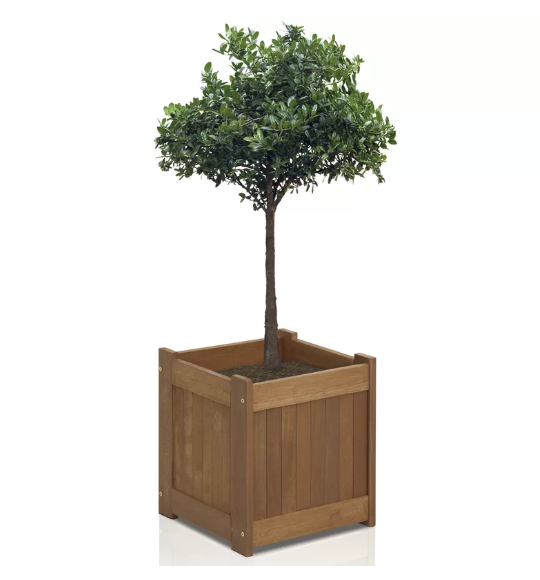 Plastic Planter Box – This plastic planter box is a great deal and low maintenance! 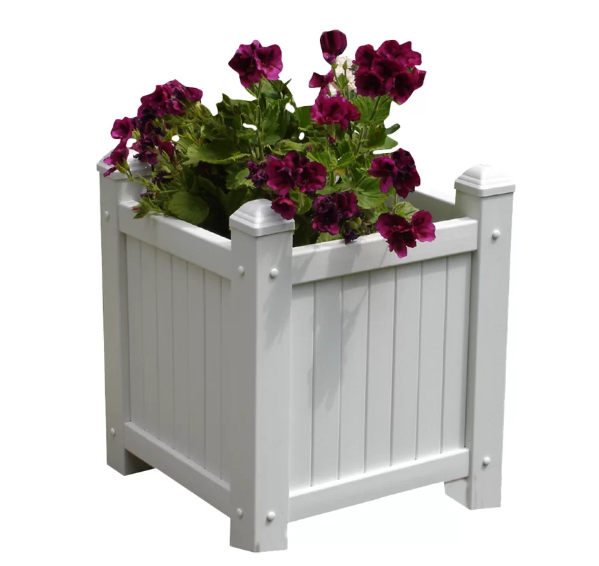 Vinyl Planter Box Classic and timeless, this beadboard planter is made of durable vinyl and is available in 2 sizes. Wood Planter Box I have these on my deck. They come in 2 sizes and 4 colors too (natural, white, black and forest green). Self Watering Bead Board Planter Box This self-watering planter box has the traditional look of beadboard without any upkeep. 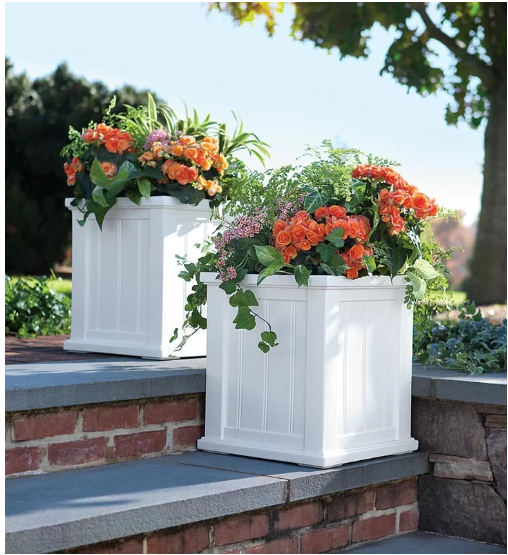 All-season high-grade polyethylene planters provide long-lasting beauty, durability and quality. These come in 3 different sizes and 6 colors. 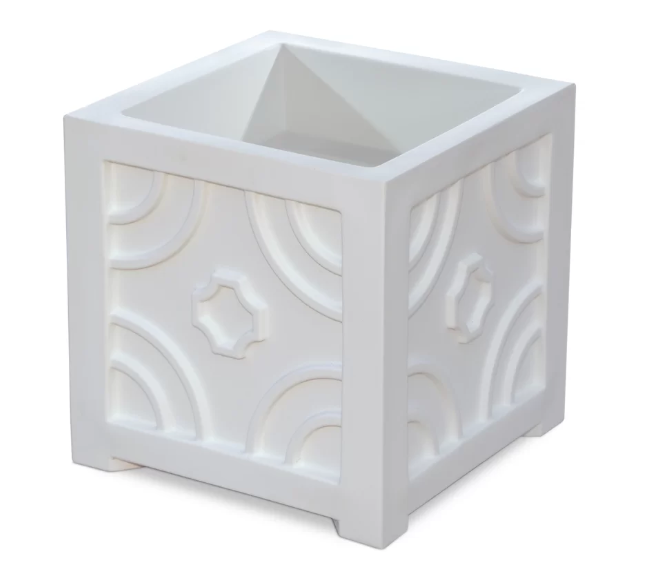 Savannah Self Watering Plastic Planter Box – It features a gothic motif with a modern flare. The sub-irrigation water system encourages root growth and creates a self-watering effect so you can water less, saving time and money. It comes in 3 colors. 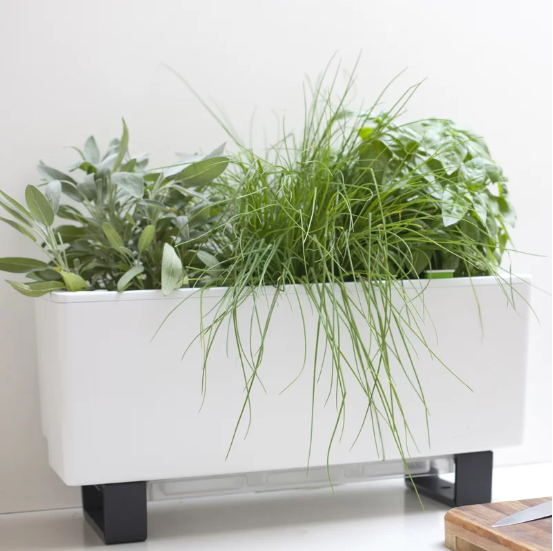 Self Watering Modern Plastic Planter Box – This modern planter would look amazing ourside or indoors even! 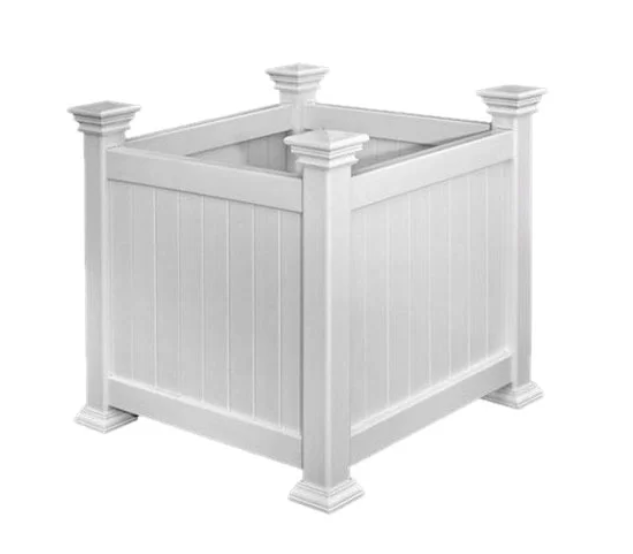 Lexington Wood Planter – The round finials make this planter box simply charming! It comes in several sizes and colors too! Freeport Self Watering Plastic Planter Box – The Freeport Self-Watering Plastic Planter features a double wall design, which is perfect for an urban setting. 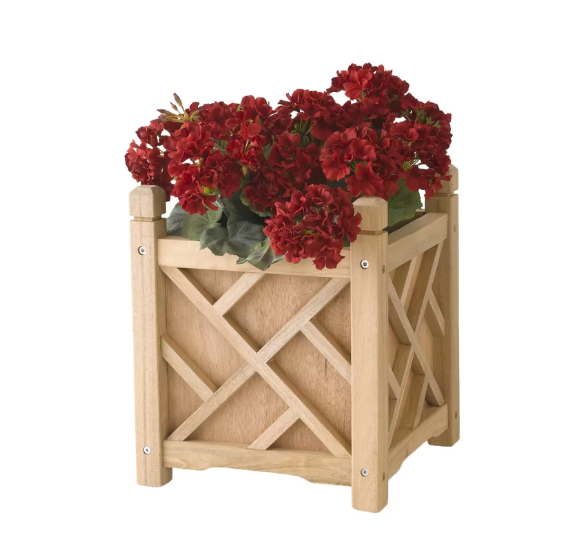 Beautifully designed, this planter has a sub-irrigation water system, which encourages root growth. 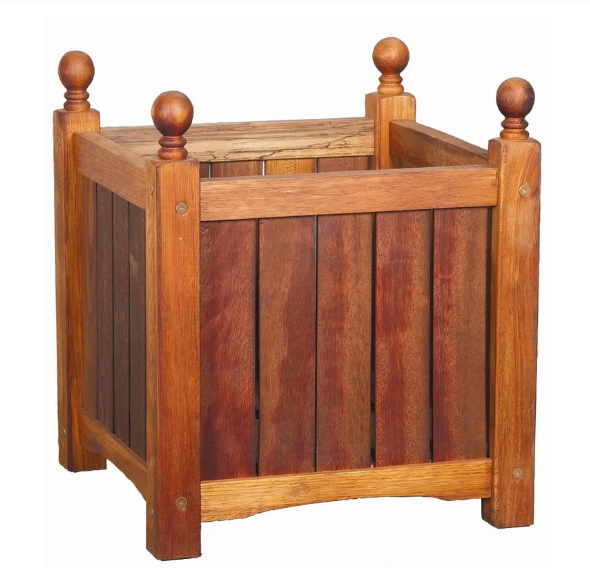 Teak Planter Box Made with Malaysian dark red meranti wood and treated with teak oil, this outdoor planter is durable and water resistant. 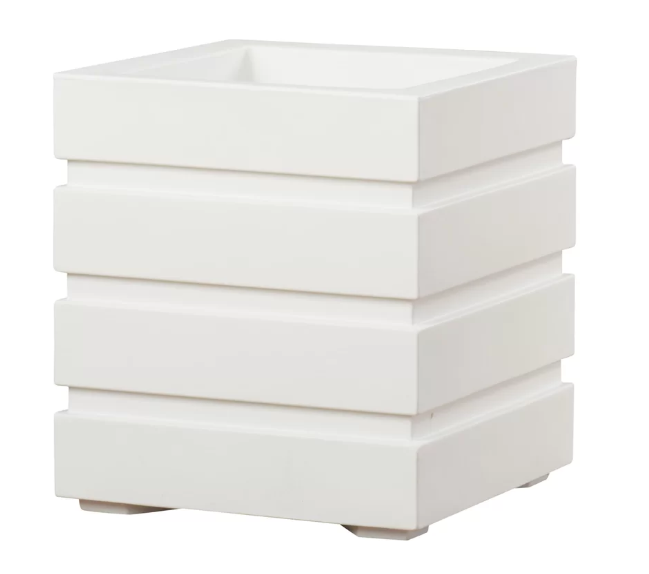 Eden Vinyl Planter Box This products comes with a 20-year warranty against yellowing, warping, cracking, and rotting. Which one do you like best? I have my eye on a few of the self watering planters!